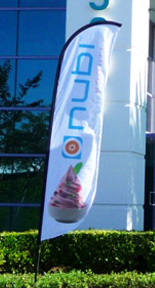 Flag Banner Online is a Famous Flag Printing Company, Banner Printing Company, Custom Signage Company in Sydney. 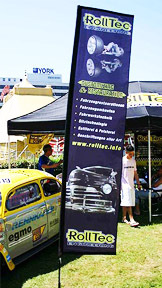 Flag Banner Online offers Teardrop Banners, Feather Banners, Rectangle Banners, Shop Front Flags, End Sign Flags, Outdoor Vinyl Banners, Pull up Banners, Media Wall Printing, Custom Gazebo/Marquee Printing, TableCloth Printing, Custom Fabric Printing and full ranges of Signs, Banners, Fabric Printing Service. Flag Banner Online are always proud of offering our High Quality Indoor Banners & Outdoor Banners to wide ranges of customer. 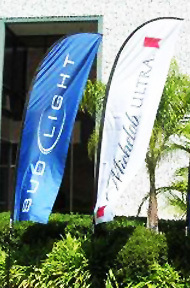 Flag banners are one of the most popular outdoor promotional flag products in any Event or Advertising Market.It has advantage to be outstanding in promotional banners and be easily recognized.Combines with different bases,you are able to use the flag banner in any ground condition.Flag Banner will help you to promote your business or advertising in an effective but economic way. In the past, High quality signage banner always means high cost, However, Banner Online, We will change the way you think. In the past years, Banner Online never stops on researching & customizing the signage & banner printing material for our customers. With our latest research achievements, we are so proud to share you our new innovated & exclusive printing media to be used on our wide ranges of signages products. With 100% same high quality or even superior quality guaranteed, you only need to pay less than 50% of the market retail price for all ranges of signage products. We are Local Banner Maker in Sydney, We offer Retail Printing Service to Australia Wide, We also offer Trade Printing Service for more than 3000 Re-sellers Around Australia.Quality, Price, Speed and Service, Which is most important to you ? Banner Online has the Best Quality Guarantee for all your jobs, Best Price Guarantee on same quality grade products, Fastest Production Speed in the industry, and Super Easy & Friendly Customer Service that you need. DELIVER TO AUSTRALIA NATIONAL WIDE. AND NOW WE ARE DELIVERING WORLD WIDE. We will beat any quotation if requested. We provide Big Discount on Multiple Buy, Plus we NEVER cut down our quality of any product we made.